In this web 2.0 age there are many photo editors available to edit and style photos for social networks or for sharing with your friends. 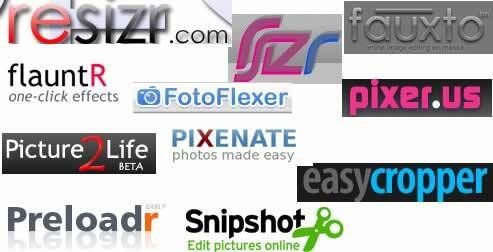 Here is a list of online photo editors available online. Fauxto is a Flash based online image editor muck like Photoshop wrapped in a browser, it works with the concept of layers for images. It doesn’t have any help section to start quickly. Phixr is a online photo editor with all the basic tools to edit the photos. You can upload photos or pull from photo sharing sites like flickr, picasa, photobucket. Pixer.us is a online photo editor which supports cropping, resize, effects, colotfix etc. FotoFlexer is a flash based application for editing photos online. 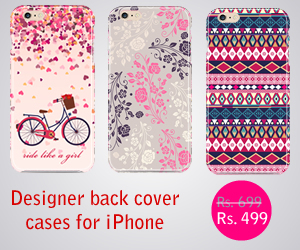 Supprots photo editing, beautify and adding text or borders. Picture2Life is a web based application to edit, collage and animate your pictures. Easycropper is a web based tool for cropping the images, as the name suggests it just does the cropping. Snipshot allows you to edit your photos and add effects to it. Resizr is a Ajax based application for photo editing, you can share the edited photos in Myspace or email to your friends. Preloadr is an online application for improving photos before uploading it to flickr. Preloadr is linked to your flickr account. Did i miss some cool application, post in the comments. sind einen Blick wert ! Here is another free online image editor. Unlike most of them, the images are not uploaded whether it is the source image of the finished image. It’s also more oriented to treat several images at once than one by one.